I had a very productive day at the thrift store today! with the original tag still attached. Score! 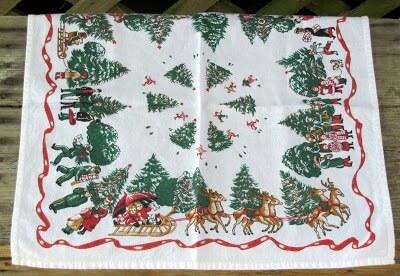 Does anyone know what era this is from based on the fact that it was originally sold for $.79? The apron is amazingly crisp and clean. Obviously never been worn. The one flaw is that it has a yellow discoloration that runs across the “bib” part of the apron. 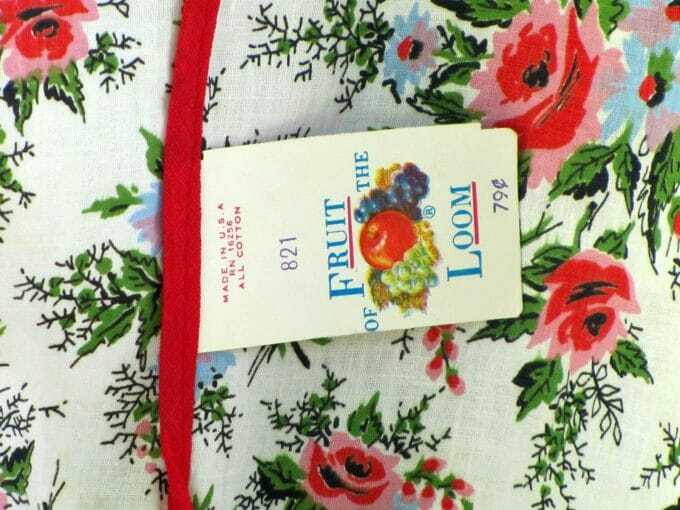 The scenario running through my mind is that it was folded in Aunt Mildred’s closet wedged between other aprons and the yellowed part is the only part that was exposed. 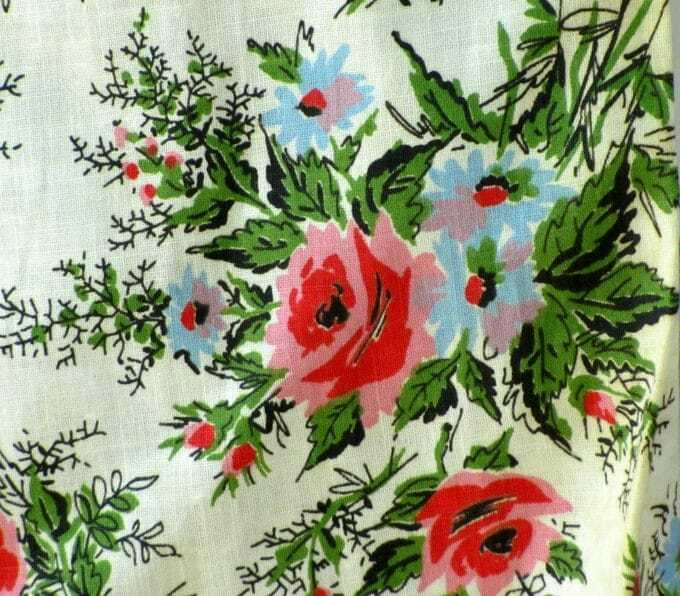 Aunt Mildred never wore this one because she was saving it for a special occassion. Yeah, that’s it. 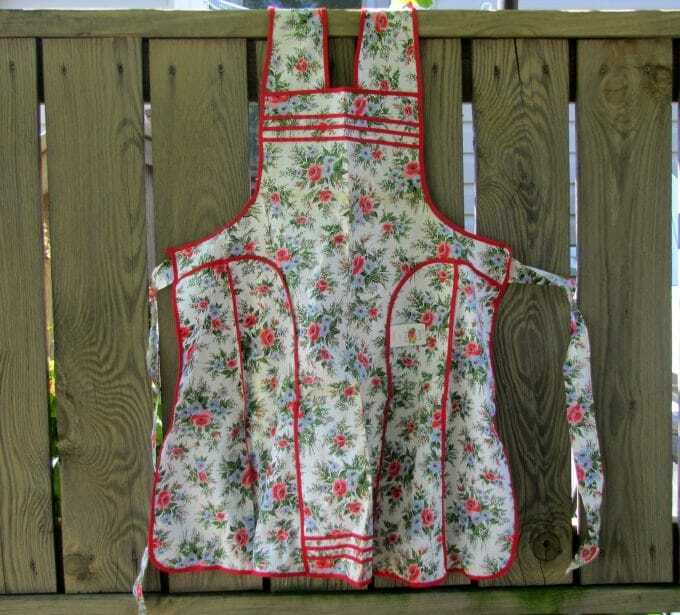 So where are the rest of Aunt Mildred’s aprons? Well here’s another one. I found this one at the same thrift store. and in the back it buttons at the top. It’s one of those aprons you have to put your arms through like a shirt. It has this cute rick rack around the neck. Or is it called something else if it’s not wavy? Piping maybe? This one is also very crisp. Looks to be never worn. Although there is not an original tag attached! 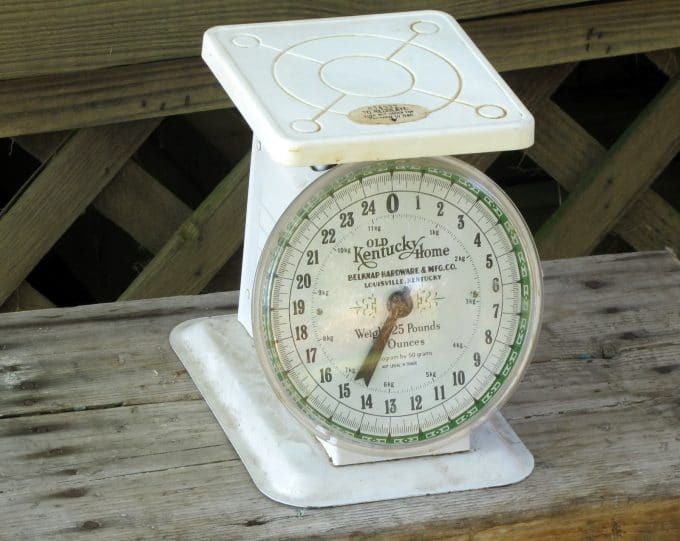 I actually bought a scale similar to this at a rummage sale earlier this summer, but when I saw this at the thrift store I had to grab it. It’s dirty, but looks to be in very good shape. Except that the pointer thing may be broken, which I did not notice until just now. And of course I had to rescue this Gorham silver plated bowl. I can’t walk past silver without wanting to adopt it. 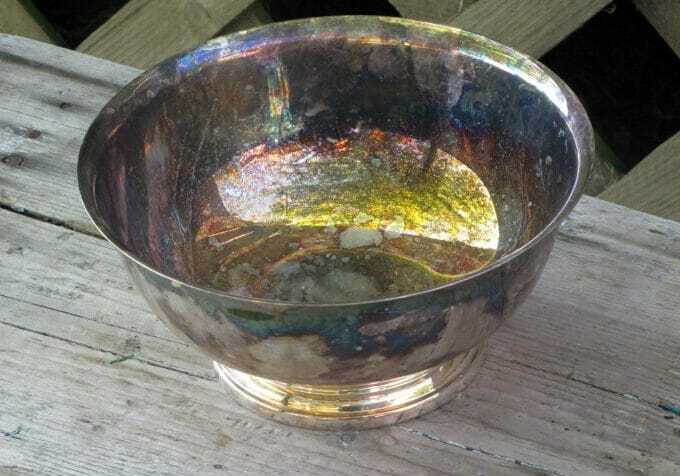 It’s 8″ in diameter and 4″ tall and wonderfully tarnished. 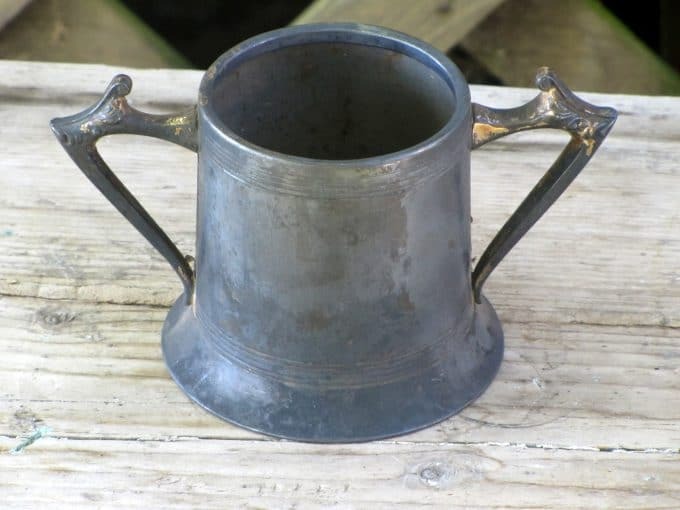 I also saved this Sheffield silver plated cup which may be a sugar bowl. It is ridiculously tarnished and it looks like some of the plate is coming off in places, but it was only $.50 so I picked it up to put pens and pencils in. 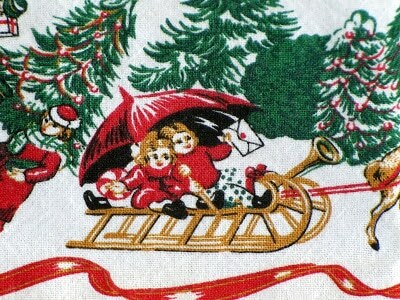 These cute Christmas napkins will look great tucked in bowls and baskets for the holidays. Or I guess I could use them as napkins. There is a scene that runs around the edge of the napkins, but these reindeer were what I fell in love with. OK, and the kiddos in the sled too! I picked up these ice skates to use for Christmas decor also. Last year I was ready to buy some on ebay, but these were so cheap at the thrift store I had to bring them home with me. 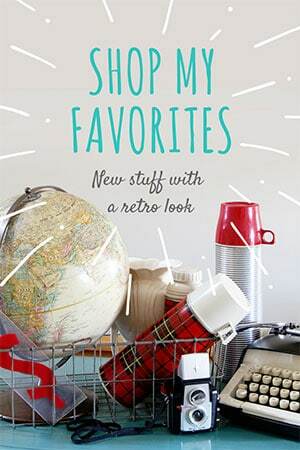 So did you find anything good at the thrift stores this week? I am linking to Colorado Lady’s Vintage Thingie Thursday, Debbiedoo’s Garage Salen Friday, My Romantic Home’s Show and Tell Friday. Wonderful finds, Pam! I LOVE those aprons!! Fantastic finds! 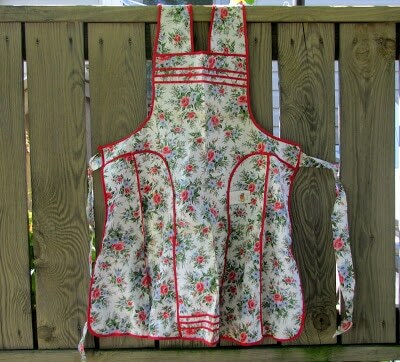 I have a hard time passing by vintage aprons too! Pam what great finds. If you look under my recipe tab, there is a recipe for soaking vintage linens and removing the yellow stain, that should come right out. 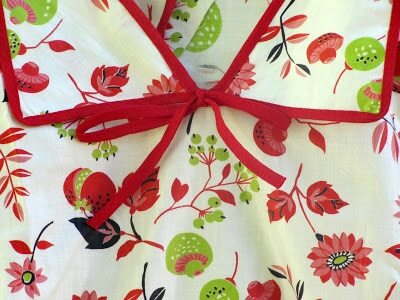 Lovely aprons, they are wonderful and love the fabrics. Have a great VTT! 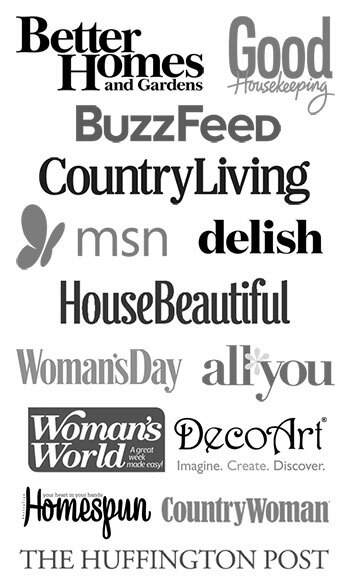 Wow-GREAT finds! You sure got lucky. I think those aprons are from the 50’s would be my guess…maybe even the late 40’s. I can remember my mother paying a dollar something for an apron in the late 50’s at the Five & Dime. 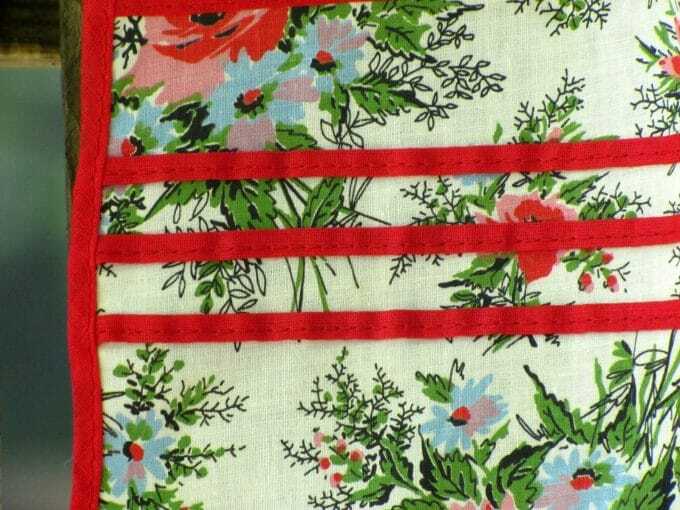 I remember because it was so unusual for her to buy anything-especially an apron because she made all of her own. It must have been especially fetching-although I don’t remember it at all. 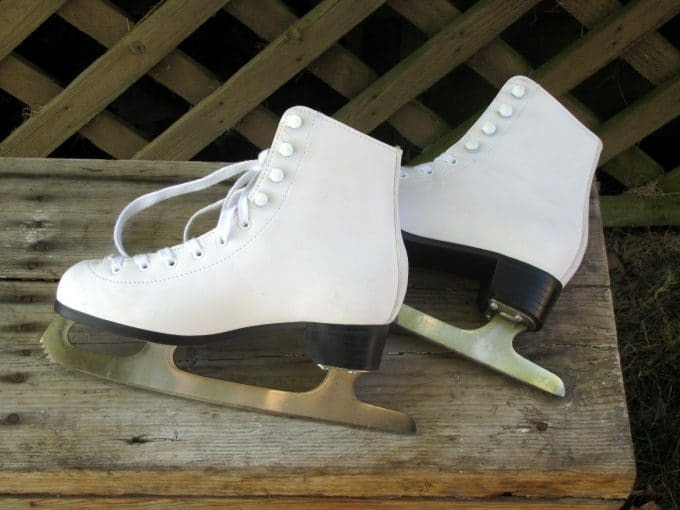 I bypassed a pair of skates this week. What WAS I thinking? I could have used them for decoration if nothing else. 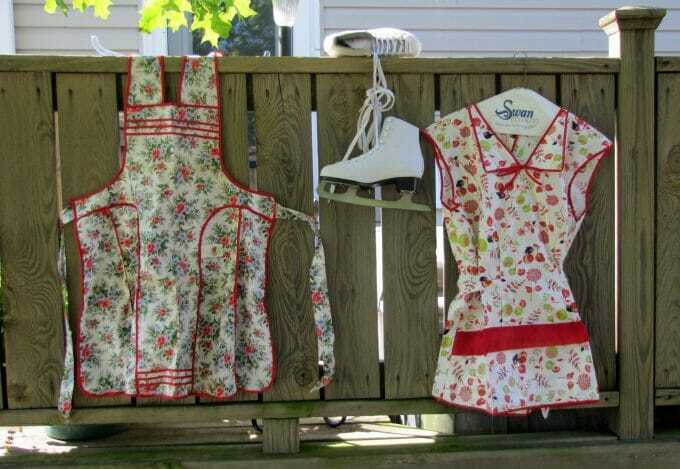 Hi Pam…first off those are the cutest aprons…and those iceskates are adorable, I was thinking the fun I would have decorating those in the winter time. 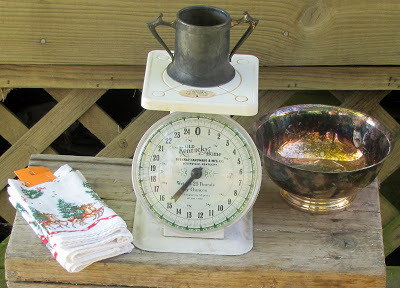 That scale is still neat even if the tip is broken….I have the same one in RED! !~ Thanks for joining me. 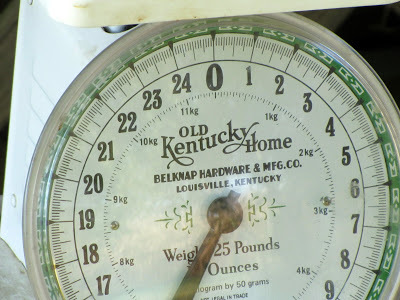 Oh I do love the old Ky Home thingie!! Ky is my state of origin!! It will always be home to me. I miss the Kentucky Falls and Winters!! 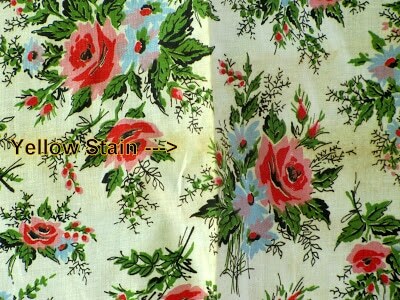 Great finds, I love vintage aprons and those fabrics are awesome! 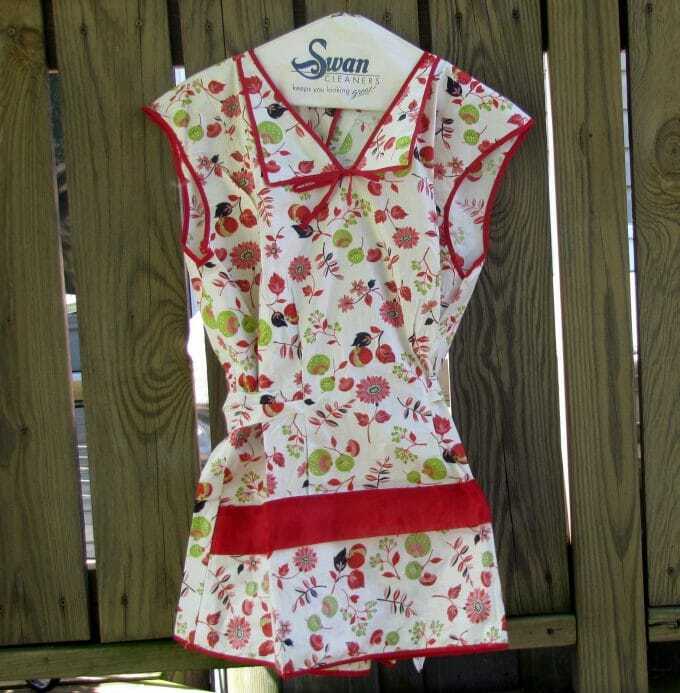 I love the aprons. The fabrics are all so awesome. And the scale is a beauty! You found a lot of vintage items. Someone wrote a couple of weeks ago that they soaked some discolored linens in water and Oxiclean and it removed most of the yellow discoloration. you definitely found some great things! How much fun to come home with new finds…vintage is even better!! Great finds! I love the aprons and silver pieces! Those aprons are adorable and with the original tag attached – a rare find. You found some cool stuff. Oooh, I love vintage aprons!! 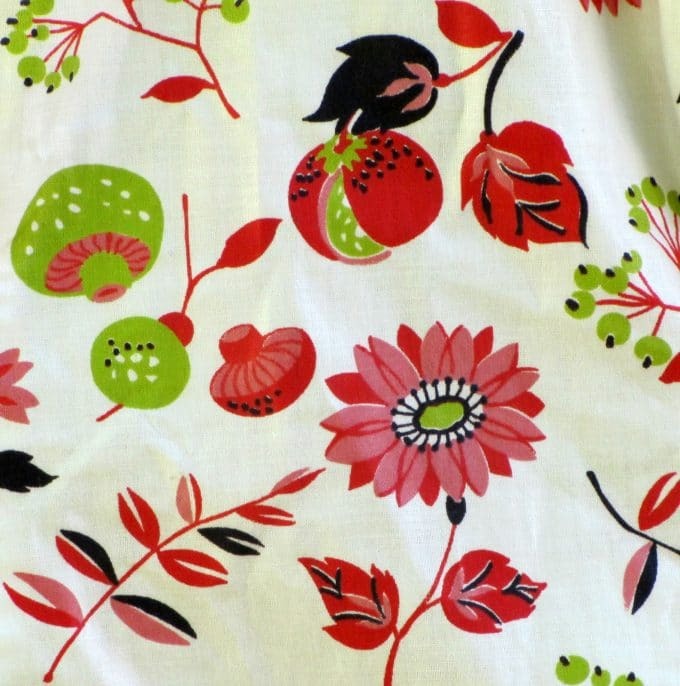 I think that the one with the tag might be late 60s or early 70s, same with the second one, with the red piping. My mother and grandmother had some very much like those! 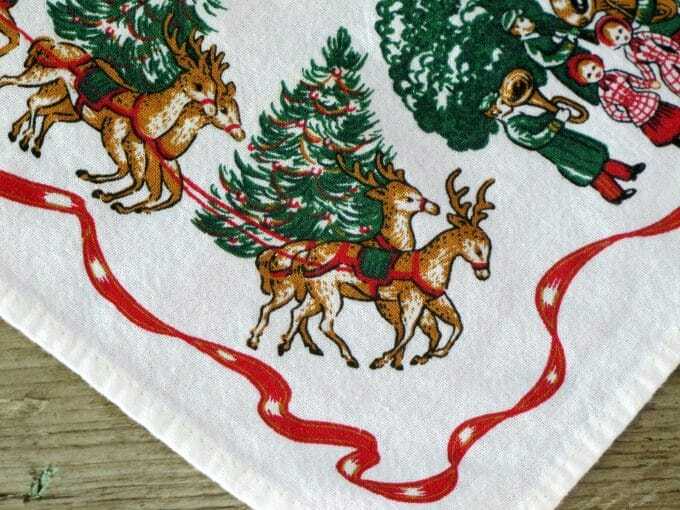 I love the Christmas napkin too! Very cute! The apron is the greatest, 79 cents, really! My daughter bought some skates at round top, $5.00. 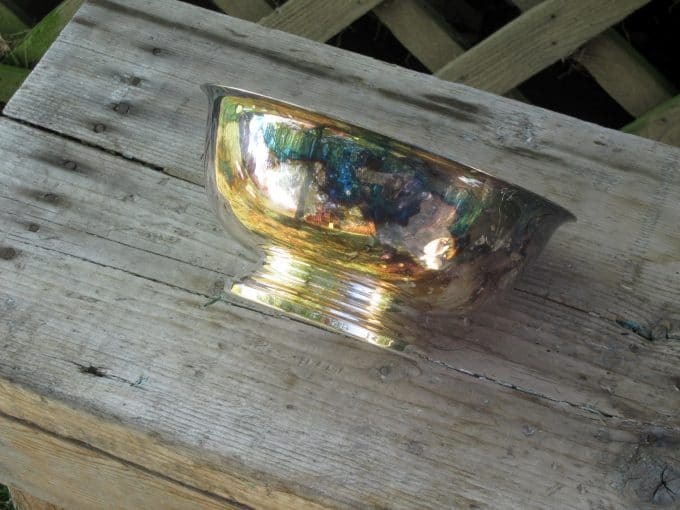 Love the silver bowl, polish her up, don’t let her pit. I have two scales–love them both. We went to a Barn sale on Saturday–post coming soon.